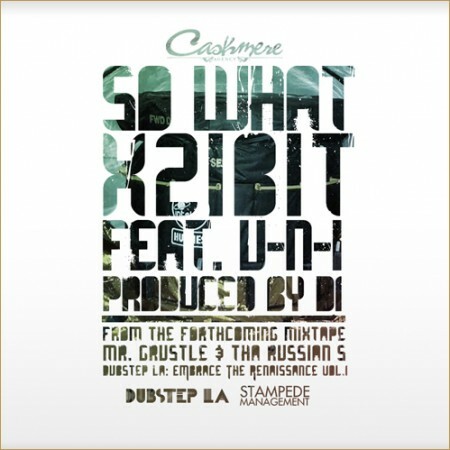 New Xzibit Blog Post: NEW SINGLE: Xzibit featuring UNI — "So What"
“Xzibit’s “So What” featuring Inglewood, CA’s U-N-I is the second release from Cashmere Agency Presents Mr. Grustle & Tha Russian’s Dubstep LA: Embrace The Renaissance Vol. 1 Mixed By Plastician. Crafted by famed Dubstep producer D1, “So What,” seamlessly blends Dubstep’s heavy oscillating bass lines and dark syncopated sounds with the lineup’s fierce lyricism. Cashmere Agency Presents Mr. Grustle & Tha Russian’s Dubstep LA: Embrace The Renaissance Vol. 1 Mixed By Plastician hits the net September 9 and features famed Dubstep producers Benga, 12th Planet and Caspa alongside hip-hop stars like Murs, Grouch and Eligh, Grand Puba, Ras Kass and Eve.